The host showed us to our table. 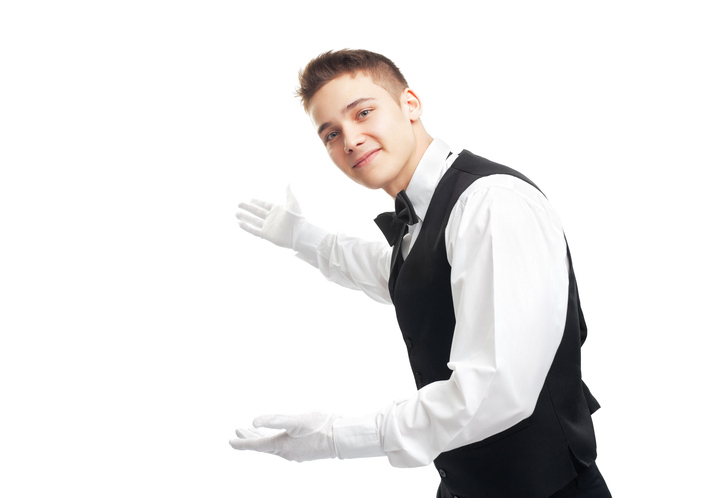 A host is a person who entertains or receives guests. Ellen loves to stay at her aunt and uncle's house because they are such welcoming hosts. When Roberta arrived for dinner, her host met her at the door. A host can also be a person who introduces a TV or radio show and interviews guests. For many years, David Letterman was the host of the Tonight Show in the US. Jimmy Kimmel hosted the Academy Awards in 2017. Melissa's parents hosted Christmas dinner every year. The animal or plant from which a parasite gets nutrition is called a host. For example, a dog is a host for fleas. Host is also a sacramental bread used in the Christian ritual of the Eucharist. Hostess is the feminine of host. The Host is a movie about extra terrestrials who invade Earth and inhabit humans’ bodies. The humans are the hosts to the invaders. Watch the trailer here. There are other meanings of host.